Make Your Plate INVISIBLE to Cameras! New to the UK - Beat the Speed Cameras! Is PhotoBlocker legal in the UK? Where can I find media reports about PhotoBlocker? How long will one PhotoBlocker tin last? Will other motorists be able to see my registration number? Can you tell me more about your refund guarantee? I've still got a question. Who can I contact? 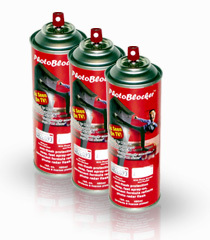 A. PhotoBlocker is a patented spray designed to stop speed cameras from detecting your registration number. Once dried, the spray is invisible to the naked eye, however REFLECTS speed camera flashes - meaning the authorities will not be able to view your registration number and therefore won't add points to your license or send speeding fines. Q. How does PhotoBlocker work? A. PhotoBlocker works by reflecting the flash from a speed camera. The spray forms a thin yet sturdy membrane over the number plate. This covering is totally invisible to the naked eye, however when your vehicle is "flashed" by a speed camera, the substance turns your number plate into a mirror... reflecting the entire flash and invalidating the photo. Q. Is PhotoBlocker legal in the UK? A. PhotoBlocker is totally legal to purchase in the UK, however it may NOT be legal to use the spray to defraud the speed camera system. Yes, PhotoBlocker is undetectable, however we we CANNOT recommend using it to hide your numberplate from relevant authorities. New legislation was proposed on March 10th 2005 banning camera-dodging tools such as PhotoBlocker. This legislation is expected to come into realization at the end of 2019. So make sure you get your hands on a tin of PhotoBlocker, before it's too late! WARNING: Don't buy from anywhere else! We are the ONLY OFFICIAL UK RETAILER of PhotoBlocker, and the official trademark holder within the United Kingdom! Q. Where can I find media reports about PhotoBlocker? MUCH more! You can read media stories and watch video reports on this site, by visiting our media page. Q. How long will one PhotoBlocker tin last? A. Each tin of PhotoBlocker is good to protect around two vehicles. Weather, insects, and other impacts may reduce the strength of PhotoBlocker. As such, we recommend that you reapply PhotoBlocker every six months for optimum protection. Q. Will other motorists be able to see my registration number? A. Yes, absolutely! PhotoBlocker is totally invisible to the naked eye and regular motorists and police officers will not be able to detect its presence. PhotoBlocker only "activates" when an angled flash is detected... at which point, it acts like a mirror to reflect the light and invalidate the speeding camera photograph. Please note that regular home cameras WILL be able to take photographs of your registration without problem, as the flash is neither angled nor strong enough. Genuine speed cameras are ALWAYS caught and the light reflected. Q. What about "negative imaging"? A. A number of Government representatives claim they can create a "negative image" of your speeding photograph and still view the original registration number. Perhaps with imitation products -- however with the original PhotoBlocker, you can try polarizing the image as much as you'd like -- and it'll NEVER reveal your registration plate. Q. Can you tell me more about your refund guarantee? A. Certainly. If you wish to return the tin within 30 days, as a faulty or damaged product, we will issue you with a full refund - including original postage and packaging fees. Please read our refund page for full terms and conditions. A. We ship out all orders from our UK warehouse using recorded delivery. 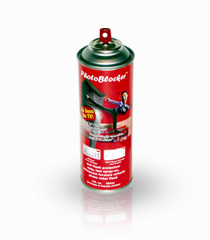 You should receive your PhotoBlocker spray within a week of ordering. Q. Do you offer discounts on multiple purchases? A. Certainly. If you're looking to order between one and three cans, please visit our PhotoBlocker homepage to view our existing offers. If you are looking to order more, please contact us directly. 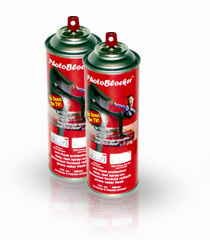 We can offer cans of PhotoBlocker from £15 for bulk purchases. Q. I've still got a question. Who can I contact? A. You can get in touch with the PhotoBlocker sales team through our dedicated support site, myHelpHub.com. To get started, simply click here and type out your question. We answer all queries within one business day - often quicker. We also provide online chat support during peak periods so you can always get help when you need it.